In the Middle East, the more affluent a country the more its leaders desire the newest military aircraft, munitions and avionics. Unmanned Aerial Vehicles are also a procurement priority for such wealthy countries, like Dubai and the other United Arab Emirates. 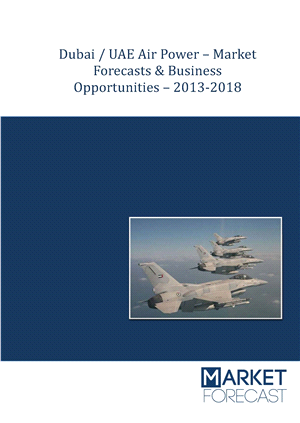 This new report delivers an analysis and market forecast of the future airpower markets/technologies in the UAE. Dubai/UAE will increase spending on airpower platforms and associated maintenance, avionics and munitions between 2013 and 2018. Our unique analysis covers those important topics over three different scenarios, delivering research that’s sure to assist aircraft, avionics and munitions vendors in the rapidly evolving Middle Eastern airpower markets in general and the UAE market in particular. 1.4. Who is this Report for?